People with entrepreneurial interests often use their abodes to establish their home-based businesses. This may be ideal if you want to work as an independent professional and don’t enjoy being micromanaged at all times. Using your home as your office also gives you a great way to avoid long hours of commuting. When running your business from home, you are likely to face unexpected obstacles in achieving your business goals. With no one to monitor your work, you will need to inculcate self-disciplinary habits in order to make working from home a practicable idea. If you are looking for ways to turn your business idea into a tangible revenue model, you need to have an agile approach towards running your business. Running your own business is not just about the flexibility you are likely to enjoy. Without a concrete plan that distinctly segregates work time based on priority, your day can be easily wasted on unimportant activities. Divide your day into slots with time allocated to short-term actions and long-term goals. This will help you execute daily activities and focus on business decisions in a more balanced manner. Take help of a daily planner or a virtual assistant that allows you to set a specific deadline for completing each task. Keep some time off to deal with unexpected tasks that may arise. Incorporate a work schedule that is similar to a conventional workplace and make sure you stick to a start and finish time. Identifying potential clients and interacting with them can be a good way to start your day. This can be followed up with responding to emails and making phone calls to clients, vendors and other partners. Avoid scheduling meetings right before ending your day as meetings can overshoot the dedicated time slot. Running a business from your house may mean that you don’t have to invest heavily on renting an office space. But that’s not the only way to control business expenditures. You can curb your expenses by using free or low-cost office resources. To start with, you can switch to using Google Voice instead of setting up a business phone line. You can find great entrepreneurial tools online that you can use by paying minimal charges. Project management tools like Basecamp, Asana and Teamwork are extremely helpful in project planning, managing budgets, and administrative work. Employ the latest software to automate some of your tedious work so that you can focus more on developing your business. Spend some time of your day on tools like Moz Learn that can teach you how to conceptualize interesting inbound marketing campaigns for your business. Further, use cloud-based accounting software like FreshBooks or Wave Accounting to cater to your accounting needs and generate professional invoices in a simple manner. For entrepreneurs running small businesses from home, any method that reduces the time spent on executional work is welcomed. You can contribute more to increasing revenue and operational growth without compromising on the quality of work. This is where outsourcing can step in. Outsourcing tools can control operational expenses and also improve your work-life balance. 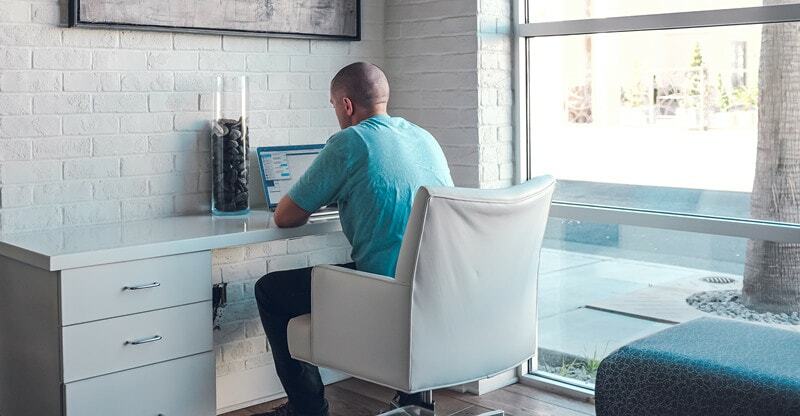 Websites like Upwork and PeoplePerHour can connect you with independent contractors who can perform business tasks for you without overcharging. Simply post your project requirements and wait for contractors to bid on them. Similarly, rather than spending your time on generating and disseminating fresh content for your marketing plans, hire a freelance content marketer who can do this for you. In fact, a LinkedIn report states that 75 percent of marketers outsource content creation. This way you can receive quality work without spending hours on it. Home-based businesses are often run by one person (the owner). In such a scenario, marketing can become a challenge. Introducing your product/service to new customers is essential during the initial phase of setting up your business. You may not have enough funds to invest heavily in a full-fledged marketing plan. Marketing on a shoestring budget is difficult, but when planned right, you can enjoy high returns on investment. Start with developing an interesting and uncluttered website for your business that highlights the features of your product/service. Make your content informative and provide your contact details. If you don’t wish to spend on advertising, you can always post an ad on websites like Craiglist. These websites provide great exposure to your business as they enjoy immense Web traffic. Also, get your firm listed on search engines like Bing Places, Google Maps and Yahoo Local so that you are visible to your local target audience. Another inexpensive way to promote your business is by creating your social media accounts/channels on networks including Facebook, Twitter and LinkedIn. Regularly post engaging content for your followers and make sure you are responding to queries and comments. The key is to keep the conversation going. Working from the comfort of your couch can sound good in theory, but if taken for granted, it can hamper your productivity and affect your business performance. The success or failure of your enterprise primarily depends on how you establish your business and how well you execute your strategies. With proper planning and execution, you can optimize the use of limited resources and establish a successful business.